Digital device templates are popular among the designers and have been used for years but with more devices and more resources. Designers have taken the liberty of creating many of the tools for any kind of application. In this post, I am going to focus on Apple Device Mockups that are ranging from iPhones to full iMacs. These mockups include the photorealistic providers along with the actual photo that are relying on the smart objects for screen replacement. This is the best way to showcase a new UI design without actually taking a picture of your device. 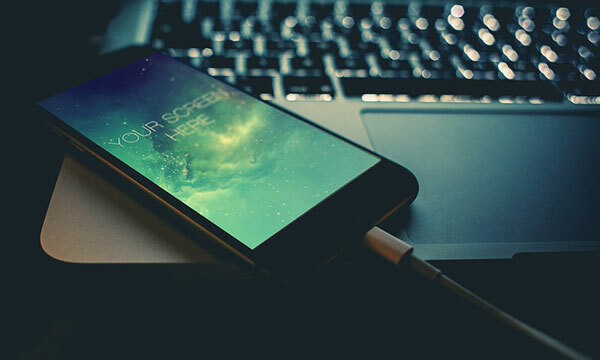 These iPhone mockups can be used to showcase anything from iOS apps to games and even mobile responsive websites. Screen dimensions match Apple’s specifications with iPhone 6 and iPhone 6 Plus models. The real iPhone 6 photo set is one of the best for its price. You can download a set of 6 unique PSDs with the real iPhones in various positions. The screen includes glossy effects and auto calculates the perspective for adding your own interfaces. This device mockup brand is used by the major brands like the TechCrunch and VentureBeat to showcase iPhone apps for their additional needs. All the 9 mockups feature portrait and landscape perspectives from all the iPhone 6 models in white, space gray and gold. The pack of this costs $39 but you can download a free sample containing one iPhone mockup PSD to test it out. For accessing all the features you have to purchase the pack. 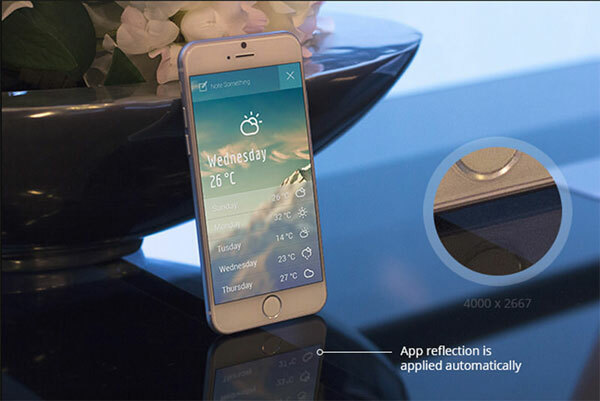 Ramotion also features a pack of iPhone 6 Plus mockups, but it is little costly than iPhone 6. It is available for $49. 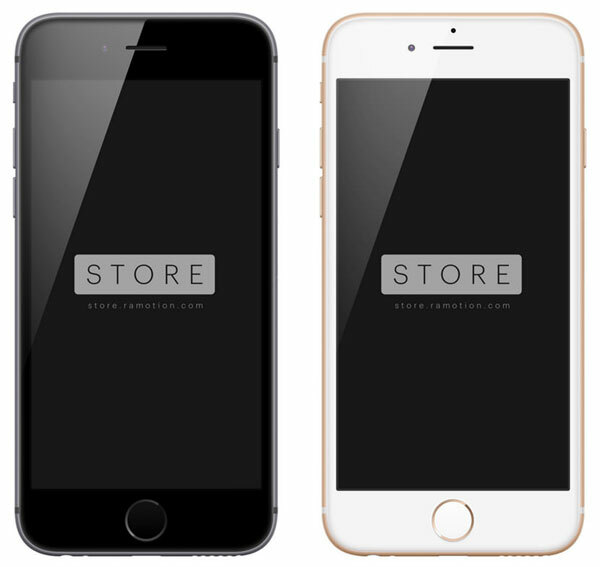 This pack includes 14 PSDs that are featuring to the iPhone 5S and the iPhone 6 models. Each device is photographed in a natural setting either on a table or in use. Everything is layered with the 6000 * 4000px photo dimensions. But the PSD dimensions are 3088 * 2056px. It is fully editable and uses smart objects. It is only available in the iPhone 5s black and iPhone 6 white. Not suitable for all the models of the iPhone 5s and iPhone 6. Photorealism is a mainstream decision for device mockups on the grounds that they draw viewers into the scene with a feeling of real world features. 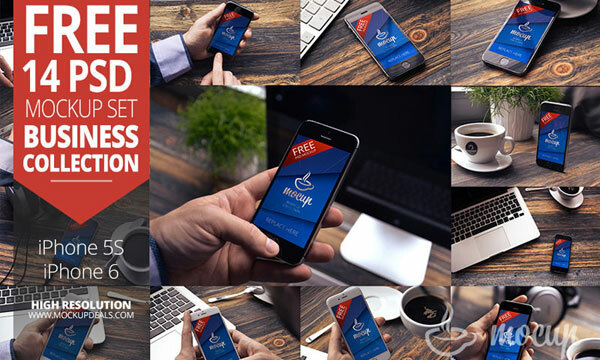 This pack from Oxygenna contains 4 custom iPhone 6 mockups with editable screens. The PSDs are high caliber and the photography work is dazzling. It contains all the smart objects for adding your own screen. This is perfect to use in presentations, web design or even for the advertising purposes. 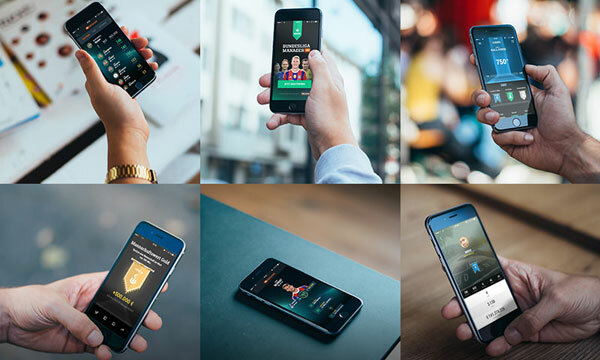 Broad style and titled perspectives define this pack of 6 free iPhone PSD mockups. Each photo uses the white iPhone 6 with extra features like reflections and blurs to create a more realistic finish. The set is completely free to download and to use for any project work. As I told you it is only available for the White iPhone 6 only; not for other models. Mobile tablet gaming is one of the hottest markets compared to the console gaming and the iPad has stimulated many alternative tablets in the touch-screen market. 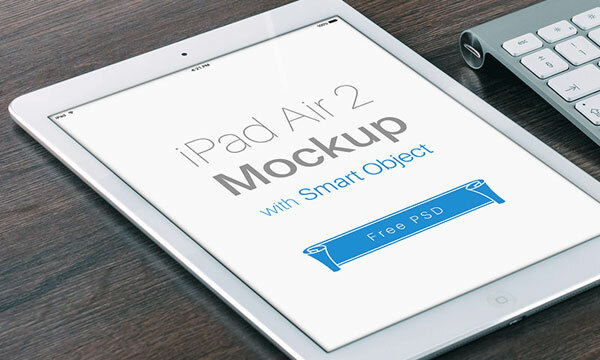 For any iPad app, these mockups are perfect for definitely showing a pixel perfect render. This photorealistic PSD mockup is very simple to use and easy to download. 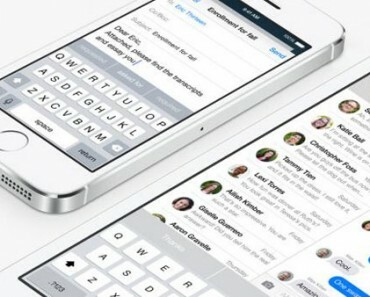 It only features the white iPad in landscape mode held on a tabletop. Just replace the smart object screen layer. It uses smart objects so that you can place your design in the PSD. 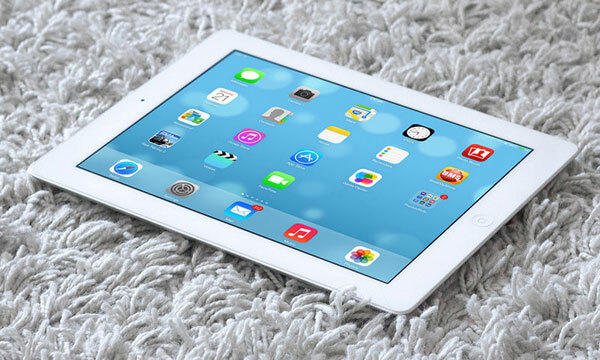 The latest iPad Air 2 supports a clean design typical of Apple products. 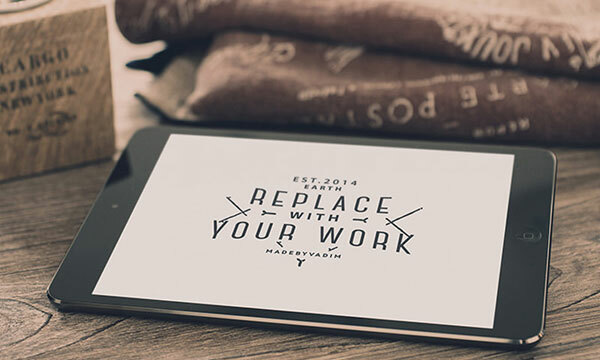 These free mockup features an iPad Air 2 lying on the wooden tabletop with a replaceable screen layer. This PSD includes 4 photo filters and comes in the dimension size of 4133 * 2745px. It uses the smart objects you only have to drag and drop your design, don’t need to create them by yourself. If you need a few styles to choose from then this 3-pack is a great option. Max also released black iPad mockups which are similarly free to download and use, only the device models changed. 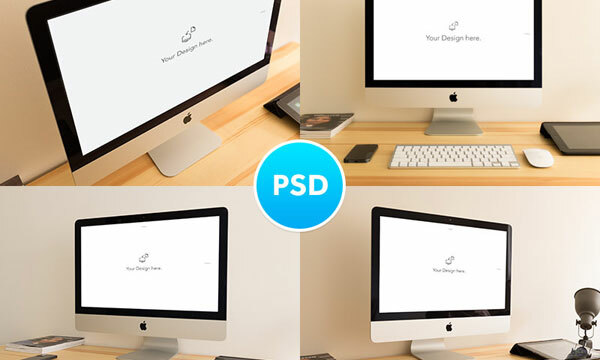 Designer Euxhenjo Makaj released the freebie PSD on his Behance page. It is an over the shoulder shot of something holding an iPad with the clear view of the screen. It is definitely perfect for any iOS mobile project from apps to games. 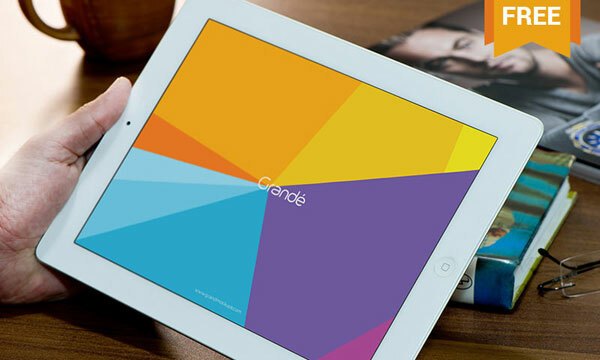 The quick and dirty PSD is a hip, clean photo of an iPad titled for perspective. The photo comes in a very high resolution of 300 DPI that is ready for print or the web. 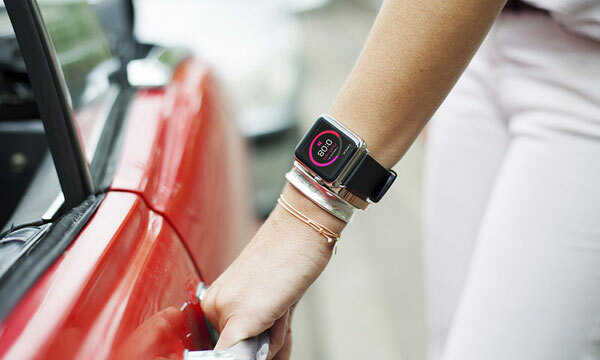 Upon the arrival of the Apple Watch, developers raced to learn WatchKit for building local Apple Watch applications. These device mockups are the ideal buddy for any designer or developer that hoping to give their work a practical picture-perfect setup. 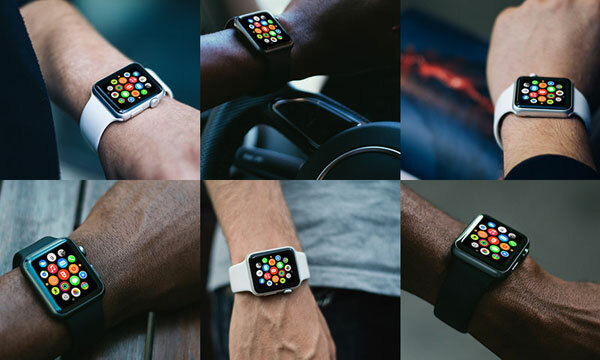 The properly designed set of mockup by Ramotion includes high resolution Apple Watch mockups with 10 different wristband styles. These photorealistic renders are made with the vector shapes so that they are easy to scale and fir with any UI design. This is a premium resource with the full pack selling for $69 but you can simply download the free demo to check-out the Apple Watch PSD. It is a very simple template with a pre rendered background and photorealistic watch design. The screen is front facing without any perspective. It is the nice mockup for the more traditional presentation style. 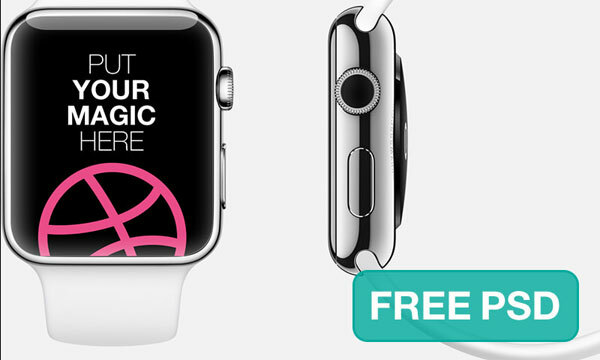 This 5-conditioned Apple Watch Sport PSD is the ideal freebie for application designers. 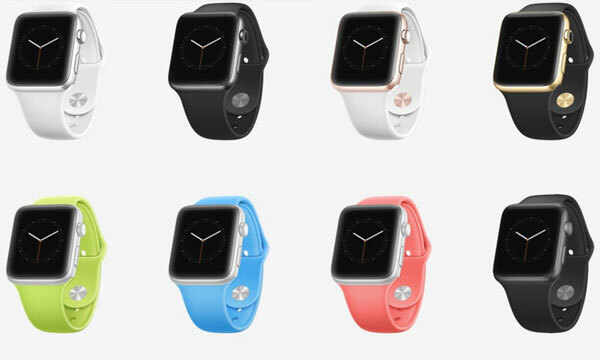 The wristband comes in 5 colors and all colors are editable to your preferring. Likewise since it’s a photorealistic render you can without much of a stretch swap out the foundation also. 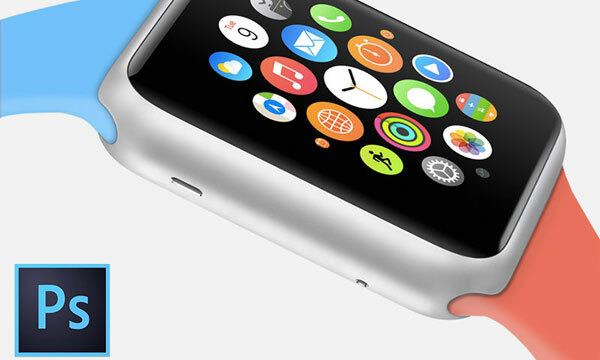 It is created in the Napoleon agency, this 9-pack Apple Watch set is beyond incredible. First of all it is free to download and then it features real photos of people wearing Apple Watches that are fully layered with the smart objects for screen replacement. In case you’re searching for quality photographs look no more distant than this arrangement of 16 free Apple Watch comps. Every photograph ranges 5000px wide for a fresh high-resolution mockup. Apple’s line of MacBooks has seen a few variations including the MacBook Air and the high spec MacBook Pro. 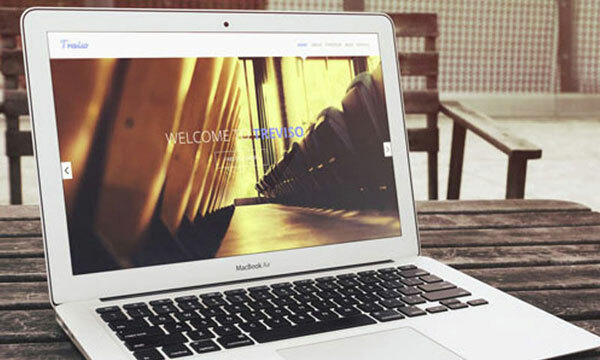 If you are designing a website and want to show it off with the photorealistic comps then these mockups are for you. 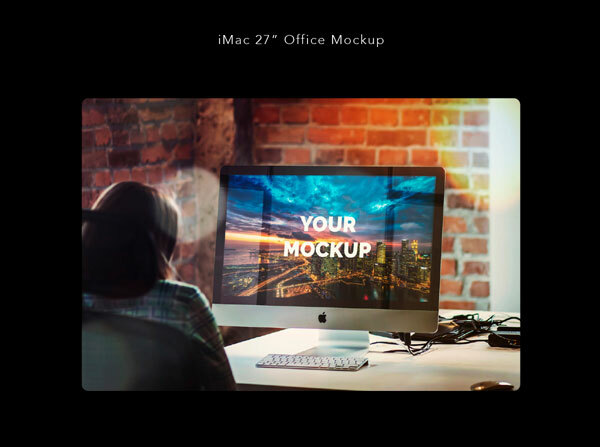 You are definitely going to love them, each mockup is layered and super easy to edit by fitting the screen sizes that match to the real world MacBook resolutions. 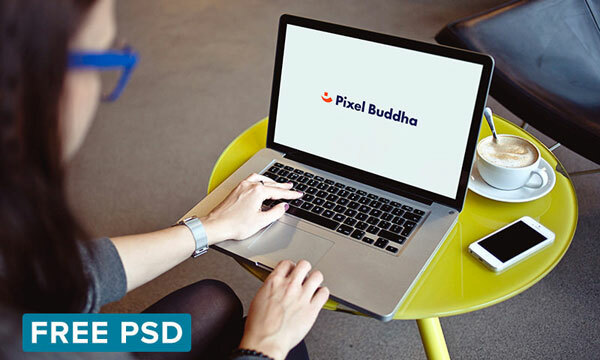 The teams over at PixelBuddha have released their own freebie MacBook photo mockup on Dribbble. It features a user interaction with the computer to give a more finished feeling to the photo. MacBook Air photo mockups are not easy to come by and this set is simply superb for a free download. 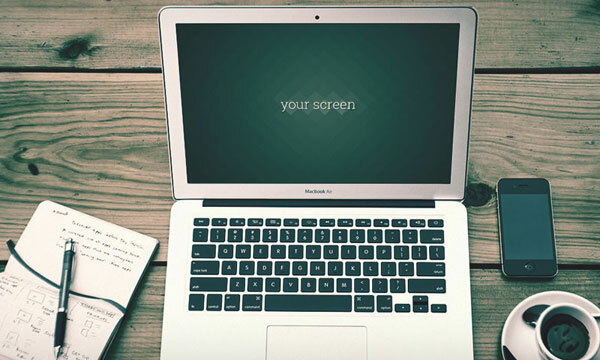 In this you will get 3 unique MacBook Air device mockups that are photographed from the real desks accompanied by the relevant background decoration. 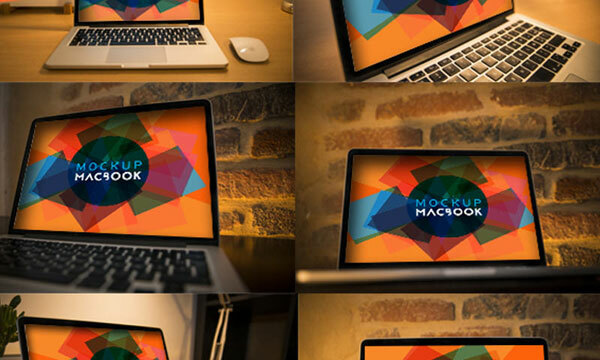 This pack has 8 MacBook mockups those are real photo mockups with the layers that are placed over the screen for ease of use. All photos are of high resolutions and are edible with any version of Photoshop. From organizations to innovative offices, these two MacBook Pro device mockup photographs are shocking and relatable. Use them to flaunt tasks to a customer, awe your manager, or just test out an individual project that you’ve been planning. For true high quality device mockups that you will want to scope out this pack from the Creative Market. It features users on their MacBooks in different locations and from varying camera angles. 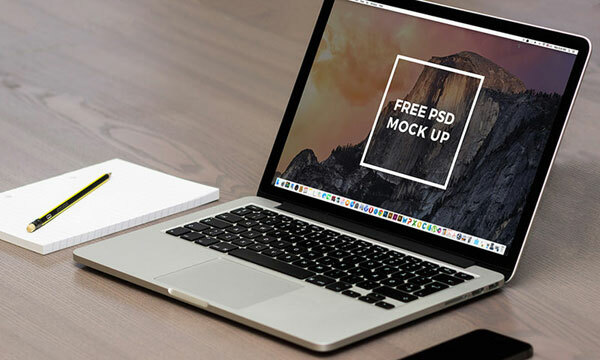 This pack includes 10 different mockups that can be worked in the Photoshop CS2 or later. This layered PSD comes in at 2400 * 1600px resolution that is ready to fit in any UI design presentation. And note that this is only freebie #1 of an ongoing pack that is released by NineToFive. Check out their freebies page to find 4 more free MacBook Air renders. It is really hard to find the iMac mockups that contain the layers for the quick screen replacement. But there are few resources which are incredible to showing off a new website with a photorealistic effect. All of these resources are layered as PSDs with the clear editing instructions. 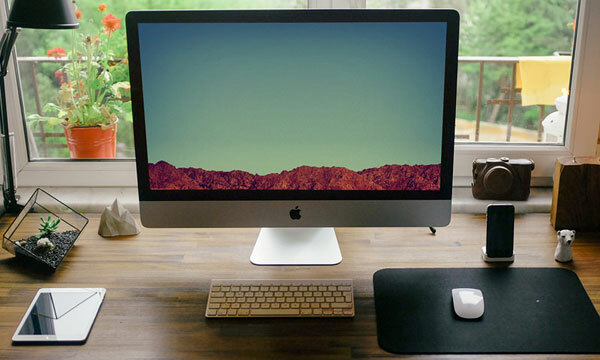 Alex released this set of 4 iMacs on Creative Market with the free preview on the Dribbble. Each photo individually showcases the iMac screen from a different point of view with a subtle yet relevant background. This pack incorporates 7 different iMac photos that are all taken from the same work area space. Contrasts in context take into account exceptionally imaginative presentations, and every photo comes in high-resolution at 4000 * 2667px. Those who are looking for the free mockups then they should check out this pack which contains 4 photorealistic iMacs that are taken from the real photos at the different angles. Built in layers with the photo filters can be used for an extra touch. 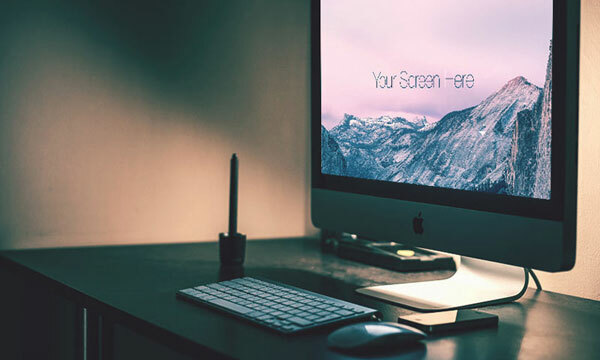 This is a clean and effective iMac mockup that is made free under a creative common license. It has been edited to allow all the interfaces to fit within the iMac screen. You only have to follow its instructions; it is very simple to use. This mockup was modified by the Mat-Peter Forss and also posted on the Behance as a free PSD. It features an office setting with the very clear view of the iMac screen. The PSD is full editable with a 16:9 smart object layer for the screen contents.